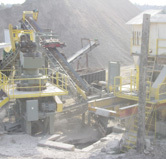 Agretech is a pioneer in the recycling of aggregate materials and since 1986, has been widely recognized for its innovations in resource recovery. 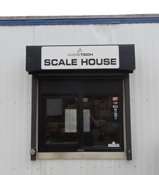 In the past 15 years alone, Agretech has returned over 5 million tons of “otherwise land filled materials” back into the economy in the form of useful, quality construction products. Every ton of material that is accepted at Agretech’s MA DEP approved facility, is reprocessed as a “value-added” product, thereby “closing the loop” and helping to better our environment by saving resources and reintroducing them back into the marketplace and economy. 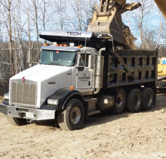 Agretech and its employees maintain that same progressive philosophy and attention to detail throughout all of its operations and services...from materials, equipment and properties to logistics and transportation. In April 2014, Agretech will be opening a new compost facility to recycle local leaf and yard waste. The produced compost will be added to Agretech’s growing supply of quality, specialty materials. 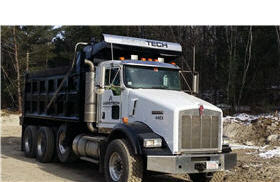 At its main location in Dracut, MA…Agretech produces a variety of quality recycled and natural aggregate products. The Dracut yard is a MA DEP approved facility and its generated aggregates meet Massachusetts Highways’ strict specifications. 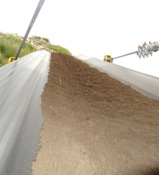 Agretech’s products have been used successfully in a range of construction applications in many of the more notable public and private projects in New England. 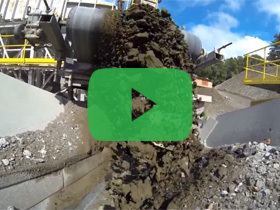 Click below to see Agretech in Action for this month’s Featured Product, the Recycled Gravel. Various stages and processes at the Dracut plant are highlighted in this video. Agretech recognizes the importance of providing the right materials and services for the right application, all at the right time. Agretech’s operations are ideally located along many of the major trucking and rail routes in New England. By providing centrally-located, accessible locations and efficient material handling processes, Agretech presents a superior value to its customers.